The Macedon Ranges hold particular affection and familiarity for Bluegum Electrical Solutions, having recently won the award for Excellence in Customer Service at the Macedon Ranges Business Excellence Awards. Rich with natural beauty and a thriving tourist economy, the Macedon Ranges is a region home to a growing population and robust small business community. 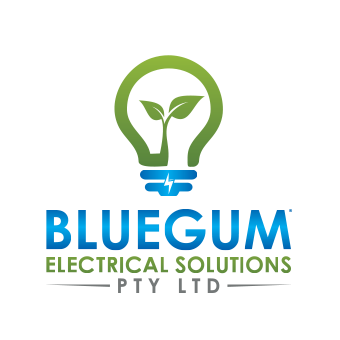 Bluegum Electrical Solutions regularly provides emergency and general services to the region with qualified and experienced electricians, including the beautiful townships of Gisborne, Woodend, Macedon and Kyneton. We offer our full suite of electrical services to all these communities – as living regionally should be no barrier to timely, quality trade delivery. Being on call 24/7, we’re the emergency electrician providers you’re looking for! Famous for its wide streets rich with mature oaks, Gisborne enjoys beautiful Botanic Gardens, lush parklands along Jackson’s Creek ideal for cycling or strolling and easy access to gourmet regional dining and cool climate wineries. Bluegum Electrical Solutions is always delighted to work in this community, offering punctual, efficient assistance for general and emergency matters in Gisborne. Just 70 kms from Melbourne, Woodend looms large in the Australian imagination as the location of Picnic at Hanging Rock, the haunting classic by Joan Lindsay. Referred to as the jewel of the Macedon Ranges, Woodend is home to many historic houses and must-see formal gardens such as those at Campaspe Country House. Sitting prettily at the base of Mount Macedon, Macedon was established in the 1850’s to service travellers seeking their fortune on the goldfields of Bendigo. Famous for its guesthouses – often converted manses – Macedon is a popular tourist retreat enhanced by its iconic ‘Honor Avenue’ of 154 oaks honouring the fallen of the WW1. Bluegum Electrical Services enjoys helping ‘treechangers’ who’ve moved to Macedon with their necessary electrical upgrades and renovations! Our services as an emergency electrician span across various areas including Macedon Ranges, Melton, Sunbury and more. Phone 1300 306 342 to arrange a free quote or if you have any questions.